Cigarette ash is a bit unique among the plant ashes because of the potassium nitrate added to the tobacco to keep the cigarette burning. 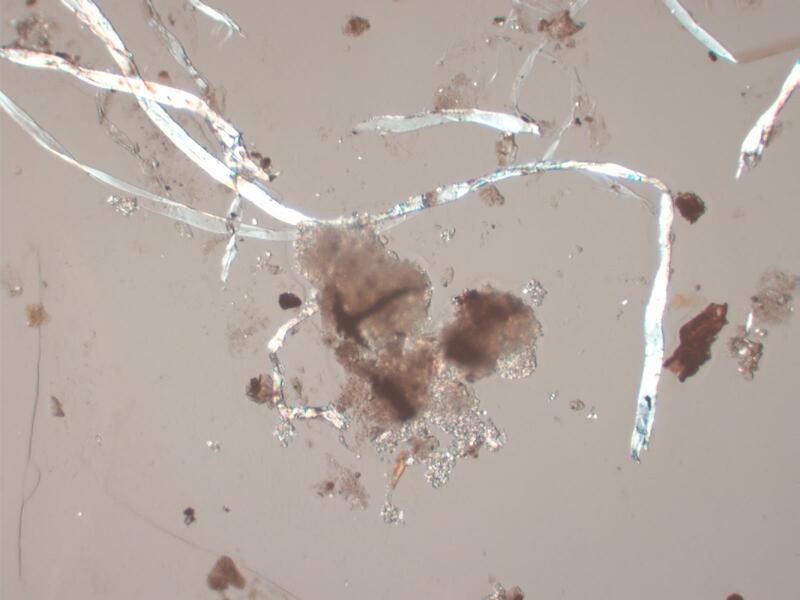 The result is that the ash is associated with a significant amount of highly birefirngent small crystals. Often the amount of charred plant matter is quite small compared to the associated mass of small highly birefringent crystals.